Pattersons Catering Appliances stock a wide range of commercial pizza ovens from leading brands such as Lincat. The range includes single and twin deck pizza ovens - ideal for restaurants, pizzerias, takeaways, cafés and fast food outlets. Commercial pizza ovens are a necessity for any catering business who wants to produce authentic Italian tasting pizzas. 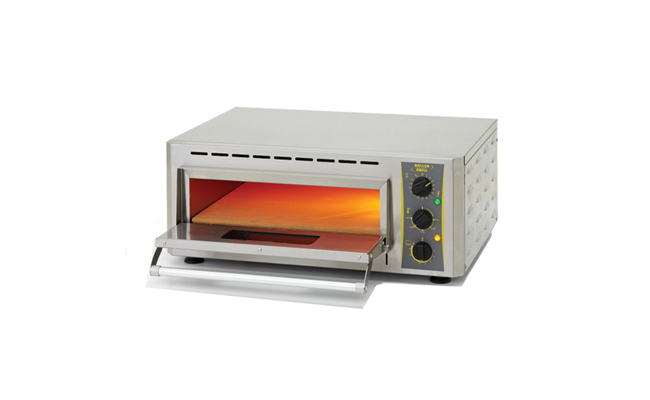 Pizza ovens and pizza cookers are also great for crisping bread as well as finishing lasagne, jacket potatoes, pies and pastries. These versatile commercial cooking equipment comes with a commercial warranties and free delivery. For advice on any commercial pizza oven please feel free to contact our team of catering product experts to discuss your catering equipment needs. We will offer impartial advice and help you select the pizza cooker to meet your catering kitchens needs. Our range of commercial catering appliances and equipment is extensive so browse the complete range today for commercial cooking equipment, food preparation machines, beverage equipment, servery display machines and refridgeration & ice machines.